Just at the tail end of a hectic summer schedule, MK has announced his 17 Tour ahead of the release of a brand new single of the same name. Due out September 1 on Area10/Ultra Music, “17” is set to weave its way onto radio playlists, streaming sites and club dance floors upon its release. The Detroit-born producer will support by embarking on the ’17’ tour across the US and into Canada. 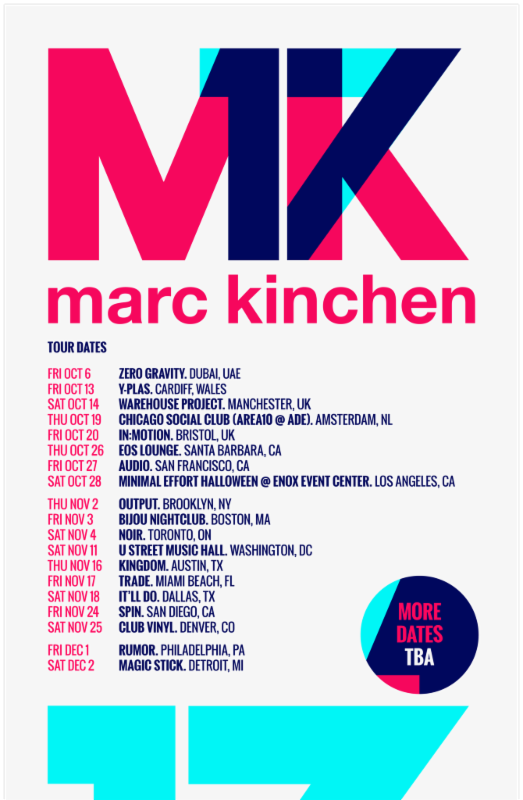 Tickets are on sale now: http://marckinchen.com/tour/. The 17 Tour kicks off October 26 in Santa Barbara, CA and will touch down into most major North American markets including San Francisco, Los Angeles, New York, Boston, Chicago, Toronto, Detroit, Dallas and more. All dates follow below. 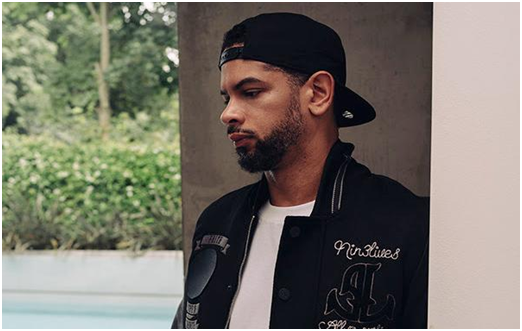 The release of “17” closes out an incredible summer season for MK (Marc Kinchen) who has performed various dates in the States including EDC in Vegas, the main stage at HARD Summer earlier this month and will be featured at the Imagine Festival in Atlanta as well. Add all this to his in-demand remixes for the artists such as Rihanna, London Grammar, Solardo and Clean Bandit, alongside his original productions, MK has swiftly become one of the world’s most in-demand producers in dance music. Several of his earlier releases including “Always”“Burning” and “Push The Feeling On” were instrumental in first helping dance music cross over into the mainstream, while his 2014 remix of Wankelmut & Emma Louise‘s “My Head Is A Jungle” has amassed over 45 million Spotify streams. Prior to recent release “My Love 4 U” (feat A*M*E), MK‘s 2016 hit “Piece of Me” (feat. Becky Hill) became a summer anthem, garnering over 38 million Spotify plays in the process.